Considering that it’s our job, packing is something we take very seriously here at New City Moving. As one of the top professional Chicago moving companies, we’ve used our know-how to help you tackle such tricky topics as packing your most valuable items, how to pack and move prized art, and many more. But have you ever looked at an item and wondered whether you’re better not moving it? Having supervised and completed thousands of moves over the years, we’ve learned just what items and things you should never put into the back of moving truck on its own. And while many of the following items may seem like common sense, you’d be surprised at how often we have to step in and advise against packing many of the following items. As we’ve detailed at length before, moving with pets can be quite the challenge and while some pet owners can’t bare the thought of putting their beloved animal in a kennel or leaving them with a pet sitter for the day, that’s ultimately the best choice. Even the best-behaved pets add an element of risk to any move as their actions and behavior can never be fully controlled or predicted. And pets also carry high sentimental value, something that can’t just be replaced if lost. So save yourself the stress and leave Fido with friends, family, or professionals. And if you are moving with kids as well, strongly consider leaving them in the care of a sitter or family member. It’s generally a smart idea not to pack anything that’s alive when moving. And many Chicago-area professional movers will often not even allow plants to be packed in the moving truck due to their high chances of tipping over and even dying. Additionally, if you’re planning a move that’s over 150 miles away or moving to Chicago from another state, the law generally forbids the transporting of household plants by moving companies over long distances. Lastly, even if you have small plants that are packed tightly, if they’re going to spend even more than an hour in the back of a truck during the day, then they run the risk of wilting, which no one wants. Instead of moving with your plants, consider giving them away to another home that will truly care for them or transport them separately in the back of an open pick-up truck. While this one might be a no-brainer, you’d be surprised at the number of people who’d rather just move their fridge and freezer with the food in it then to just throw their contents in the trash. We appreciate those who don’t want to waste food, but are you actually going to want to eat that frozen pizza after it’s sat in a moving truck all day? We didn’t think so. While many moving companies will not allow the transport of liquor, packing wine bottles is often allowed. 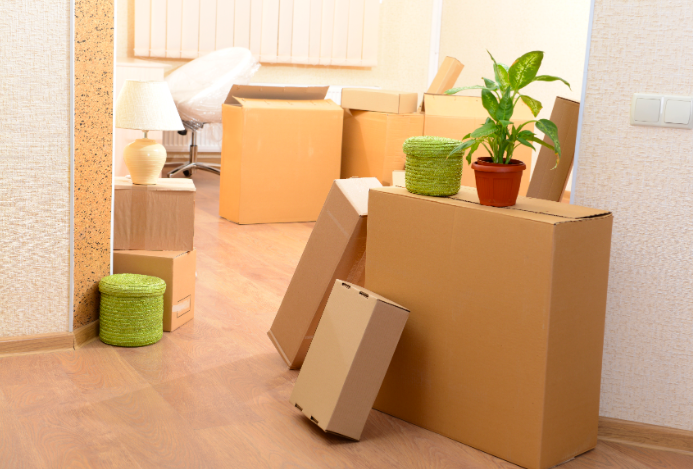 Lastly, most professional movers will provide clients with a list of non-allowable, or items that they will not move. In addition to the above items, these lists often include any explosive liquids, matches or other highly flammable items, poisons and dangerous chemicals, and car fluids such as antifreeze and car batteries. Oh, and those guns and ammunition should be left for a separate move as well. Ultimately, if you can replace an item and it poses a threat to your other belongings, don’t take a risk on a day that is fraught with dangerous situations. And lastly, please leave the fireworks at home!